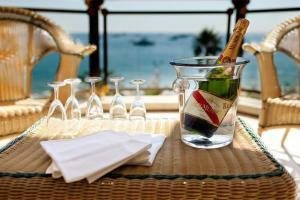 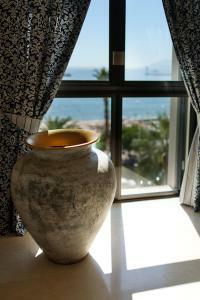 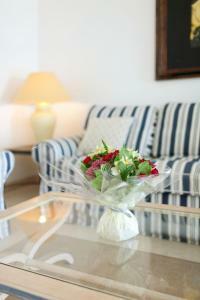 Relais de la Reine is located in Cannes along La Croisette, just a 5-minute walk from the Cannes Film Festival. 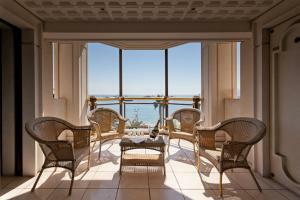 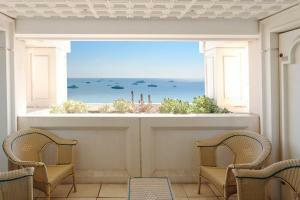 Guests can enjoy the sea views from the private terrace. 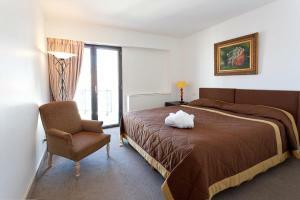 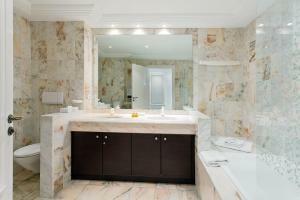 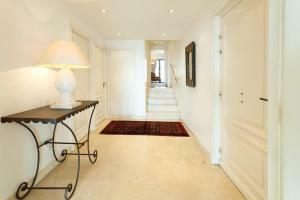 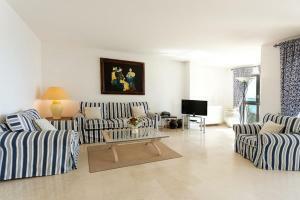 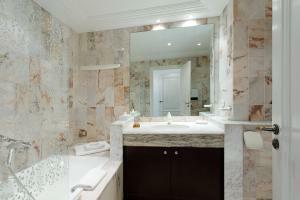 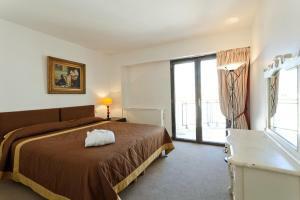 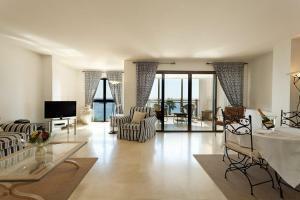 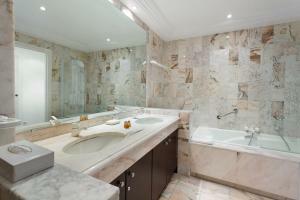 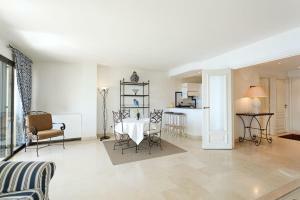 The apartments at Relais de la Reine are decorated in a contemporary style. 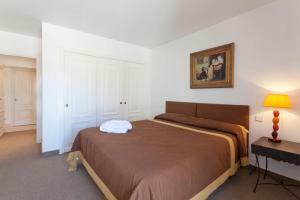 Each apartment offers air conditioning and a living area with a flat-screen TV. 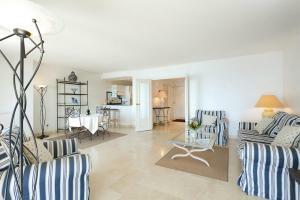 Guests can prepare homemade meals in the fully equipped kitchen and supermarkets can be found within a 15-minute walk. 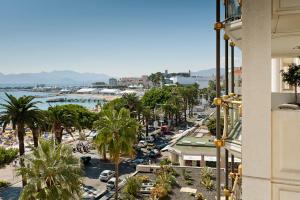 Bars and restaurants can be found just next to the building. 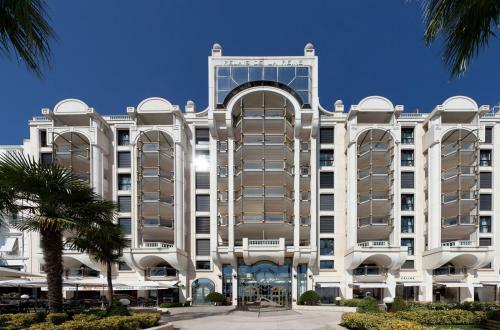 The Cannes Train Station is 1.4 km away and the Nice-Côte d’Azur Airport is 25 km away. 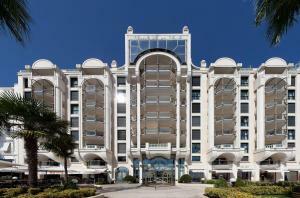 Guests have access to apartment services such as dry cleaning and a discount at the private beach in front of the building.